Apart from Convert OLM file to HTML, the software Export OLM files in more than seven file formats. Next, Select the Create New Collection Option then; fill the required details including title name, collection path, and description. After entering all the details in the given field, now Click Add. Single Mode: In this mode, one file can be added at a time. Find Option: Select the different types of email files. Click on the Search option. After merging the selected files, the software starts to scan them according to name and the date on which file was created. Now, choose the preferred file that users want to export from OLM to HTML and click on Export. In order to convert multiple folders, use Export from the navigation bar. Now, Choose the HTML file type from the available seven different types of email by default. Then, Click on Browse for choosing the destination location where the exported file needs to be saved. Finally, click OK to finish the task completely. For utilizing the multiple cloud services, I wish to upload all my email data to the cloud so, in any emergency situation, it will be helpful. As it happens, all my email files are saved in a different format. I am looking for the reliable tool that can help me to convert my emails into the suitable file format that can be easily viewed on the Web browser. For doing this, I want an efficient and trustworthy solution which is capable to move each email to any supported file format through the browser. Does the software preserve the data integrity of OLM file after conversion? What are the system requirements to install the application on MAC platform? Does the tool have an option to remove duplicate emails? Is it possible the software save the scan data for future reference? Is there any option to rename the OLM file with the different type as per the subject? Cloud services are the most effective in establishing and developing the technology for all business purposes. It is a secure, effective and much better than any other mode of data storage. It provides data storage, flexibility as well. Cloud service is more effective in expansion of the business. OLM to HTML converter is the best solution in order to convert OLM emails to HTML file format. It can export multiple .olm files to HTML. There are no pre-requirements for installing the software on any version of MAC platform. Also, it offers an option to eliminate the duplicate emails from Outlook for Mac OS. The data integrity and internal structure of OLM files are preserved even after performing the OLM to HTML conversion. Moreover, this software has been provided an option to remove duplicates in OLM file. Also, scan searches can be saved anywhere on your system. With the help of this tool, emails can also be renamed. Can the software converts OLM files in bulk? Yes, this tool is able to migrate OLM files to HTML format. Multiple OLM files can be converted and the file size does not matter. Does the migrator tool recover the corrupted OLM database? Yes, Of course, you can restore the corrupted or damaged OLM emails using this tool. Even the deleted files can be recovered and also converted with OLM to HTML migrator. 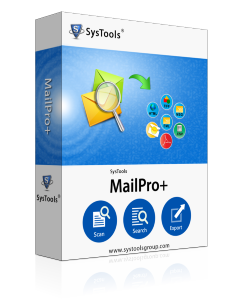 Can I search the OLM (Outlook For Mac) files with the help of this software? Yes, this tool provides the advanced search option for finding the OLM files easily without any data loss. Does the converter provide naming convention option when saving the HTML files? Yes, the software offers multiple naming patterns for saving the emails in HTML file format. "As we know, the manual conversion of OLM files to HTML format is really difficult and time-taken task and it is not feasible in the real time scenario. You have to require the reliable solution to transfer bulk OLM emails to HTML. OLM Files to HTML Converter is one of the best tools that help to export OLM files into HTML in a simple and efficient manner without losing any internal structure or any data integrity as well.